Unique textures at Milford Sound. 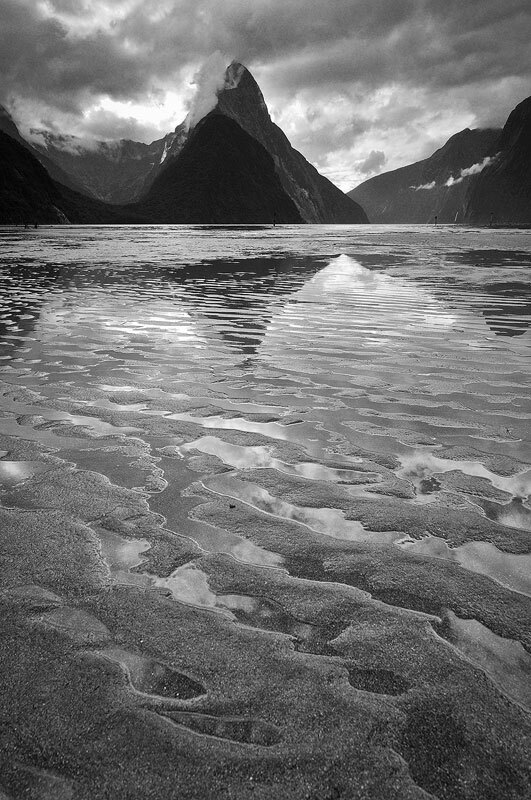 | Milford Sound, New Zealand. The outgoing tide exposed some beautifully carved out sand formations.